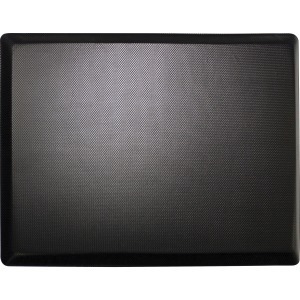 Burn calories and stay productive at your stand-up desk with this energizing desk mat. Its thick memory foam comfortably reduces stress on your feet, knees and ankles to minimize fatigue through prolonged periods of standing. Durable, three-layer construction stands up to everyday use to provide years of comfort. Plus, it's perfectly sized to ensure you maintain a comfortable standing position while allowing you to store it under your desk when you prefer to sit.